Christmas sweaters are the pinnacle of seasonal kitsch. They’re terrible, brightly coloured, and make everyone look ridiculous. I adore them. 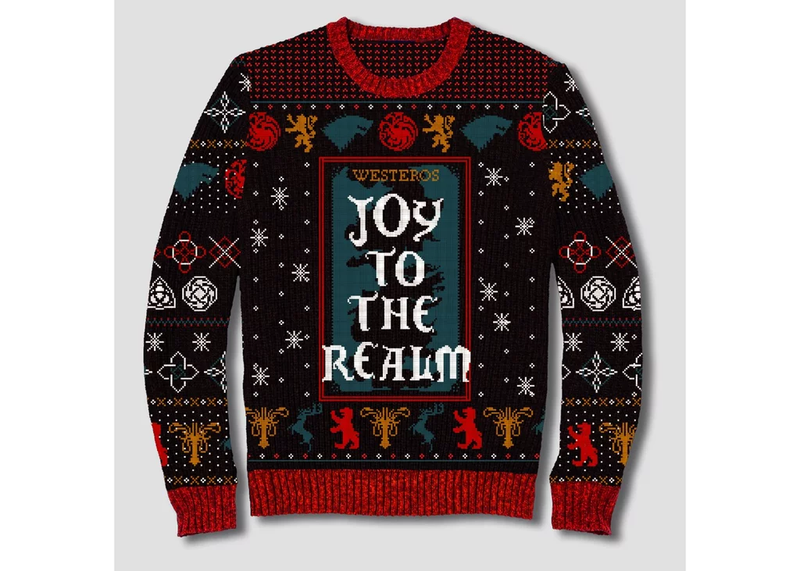 These Game of Thrones Christmas sweaters, courtesy of Target? Chef’s kiss. 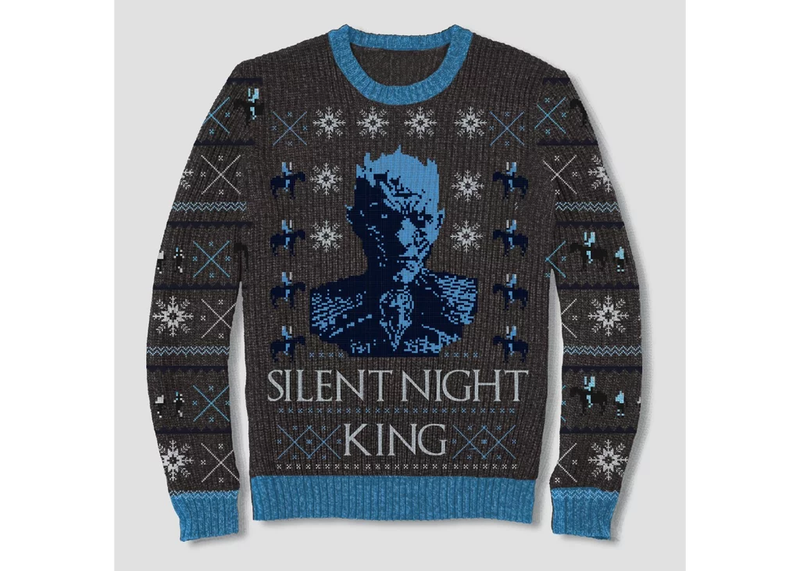 Via Pop Sugar, I’ve learned that Game of Thrones-branded Christmas sweaters are currently being sold by Target, for those of us who want to merge our pop culture obsessions with looking like walking candy canes. Joy to the realm when I sit on the Throne. 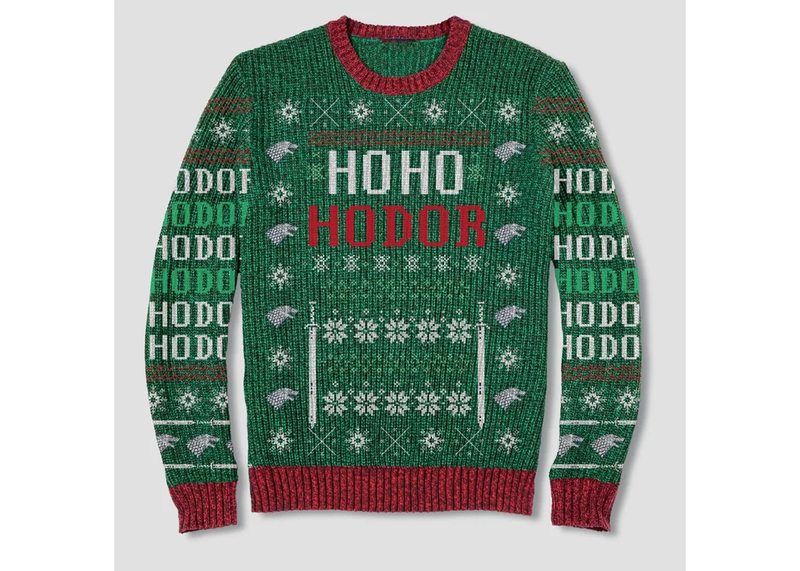 None of these sweaters are really caked in enough royal blood to be proper Game of Thrones holiday representatives, but they sure are delightful, for incredibly tacky varieties of delightful. I don’t recommend you buy these. And, as they are currently US Target-exclusive, you probably won't be able to anyway. But if you do, send me pictures. Game of Thrones returns for its final season next year, sometime.